It's our 100th episode! 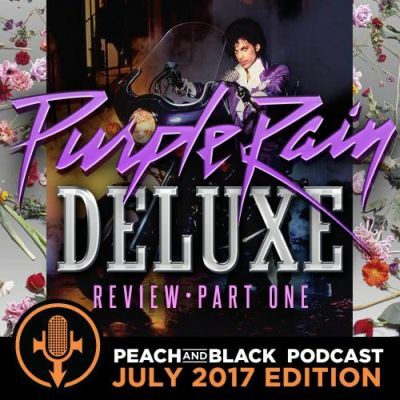 To mark the occasion, we discuss and review the Purple Rain Deluxe release. This show is a milestone episode for Peach & Black and what better way to celebrate than to talk about one of pop music's greatest ever albums, listen and enjoy! A heartfelt thank you to all of our listeners and supporters over the years. This entry was posted on Friday, July 7th, 2017 at 7:49 am	and is filed under Music, prince, podcast, NPG, New power generation, prince and the npg, 3rd eye girl, prince rogers nelson, peach and black podcast, prince podcast, album review. You can follow any responses to this entry through the RSS 2.0 feed. Both comments and pings are currently closed.